Yulia Skripal, the daughter of poisoned former GRU-agent Sergey Skripal is discharged from the hospital as Sky News reported. According to the title, Yulia Skripal could be discharged on April 9, however, this information is not confirmed. Her doctors’ assessment is expected today. At the same time, according to BBC, 33-year-old Yulia was discharged on Monday and taken to a secure location. Later the doctors reported that the state of Sergey Skripal is not critical anymore and he is improving rapidly. 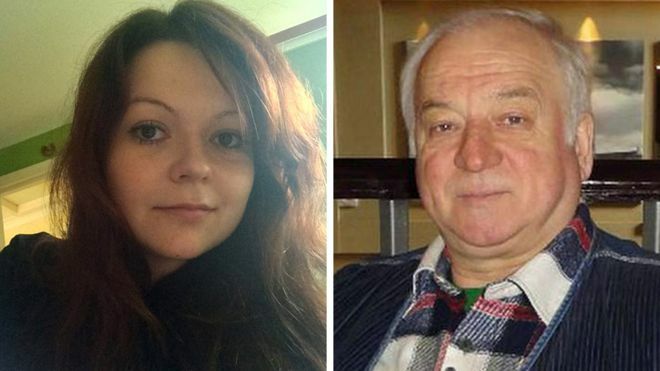 MI6, the British secret intelligence, recommended that former GRU colonel Sergei Skripal and his daughter Yulia change identities and move to the US to avoid any new assassination attempts.